Dr. Kim is a specialist in orthodontics and dentofaical orthopedics. He is a board-certified orthodontist by the American Board of Orthodontics (ABO)and also a member of American Association of Orthodontists (AAO). He is committed to excellence in orthodontics and passionate about helping patients achieve the perfect smile they deserve. His unique background in Electrical Engineering enables him to deliver a customized orthodontic treatment plan by carefully analyzing each patient’s distinct orofacial features. Most importantly, he does not forget that it’s the person that he treats connected to the teeth. That’s why he values the relationships he develops with patients over the course of treatment by striving to make each visit worthwhile in every way possible. He currently resides in north Jersey with his family. He’s been happily married to Kelly and has two children – Rachel and Jacob. When not creating beautiful smiles, he spends time with his family to be all smiles..
University of Washington — Bachelor of Science in Electrical Engineering (BSEE). 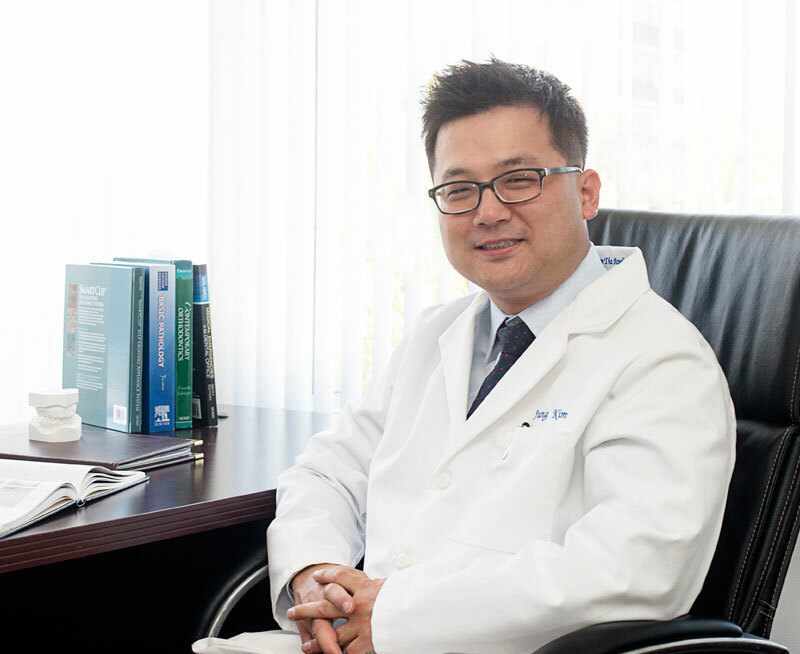 Dr. Kim has extensive experience with complex cases including cleft and craniofacial cases. Dr. Kim has successfully treated difficult cases with Invisalign like open bite, extraction, and under bite cases. Dr. Kim does not believe in one-size-fits-all approach, thus Dr. Kim does not swear by cool or new types of devices or systems endorsed by particular companies. Dr. Kim often hears compliments from patients appreciating their beautiful new smiles!